From 1994 until its 2014 closure he was solely represented by Francis Kyle Gallery Maddox Street London. He participated first in that gallery’s “Jazz” exhibition, travelling through the Mississippi Delta to New Orleans painting in watercolour the locations, rural and urban that inspired the music he still loves. Subsequently, he was a participant in the gallery’s exhibition devoted to woodland: “Per una selva oscura – artists take to the forest” (1995). “That gong-tormented sea: contemporary painters pursue the idea and reality of Byzantium”(2009). “‘This Twittering World’ A celebration of T.S Eliot’s four Quartets”(2011). Since 2003 the core of his work has focused mainly on subjects in Britain and in particular the landscapes of the North and Scotland. 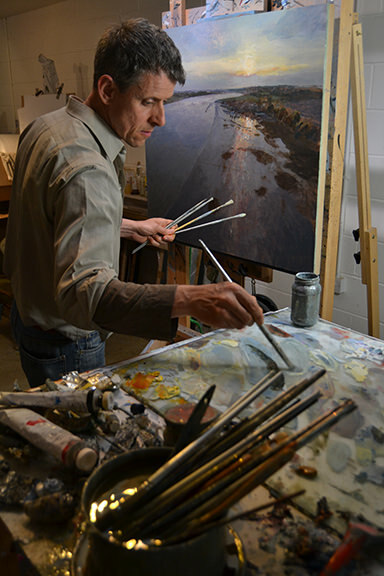 He has had nine solo exhibitions with Francis Kyle Gallery London since 1998, including “Waterscapes” (2004), “In the Northern Seas” (2006), “A first avowed intent” (2011). The latest of these “The Pilgrim Coast” (2013), was first shown (July -September 2013) at two public venues the Granary Gallery, Berwick-upon-Tweed and Woodhorn Museum, Ashington. 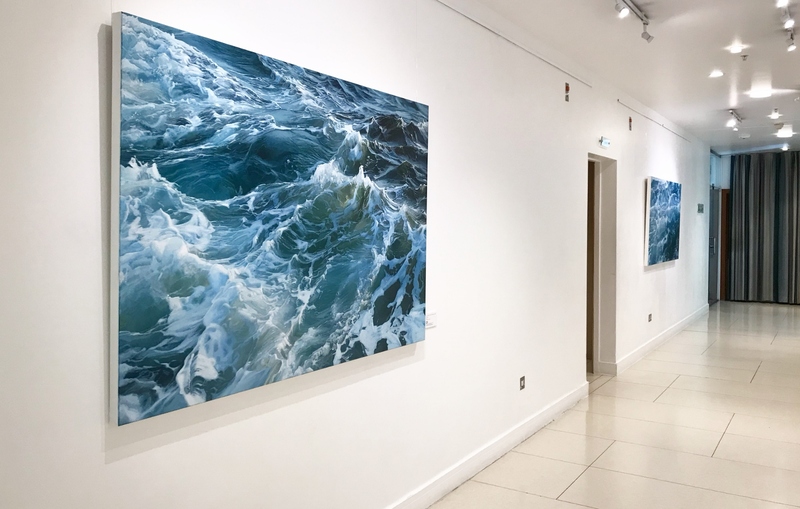 In 2016 and 2017 he showed seascapes at the Moncrieff-Bray gallery, Petworth, West Sussex.